The key to understanding the inflation-deflation debate is to ask what would benefit the Financial Power Elites who own the debt as opposed to owing the debt. A number of readers have asked me to weigh in on the inflation-deflation question. To many minds, getting this right is the key to choosing successful investment strategies going forward. I am going to approach the question with the goal of reaching an integrated understanding, as per my Survival+ analysis, rather than be forced to make a binary choice (either deflation or inflation, or one followed by the other). I am indebted to correspondents Cheryl A, Harun I., B.C., Chris Sullins and Zeus Y. for sharing their thoughts on this topic, as well as the analyses of Mish Shedlock, John Hussman, Karl Denninger and many others. I am going to start my analysis by listing what we know. Then I am going to proceed to the key survival+ question of cui bono--to whose benefit? Why does answering this question matter? Because extreme concentrations of wealth lead to concentrated political influence. Thus we are not dealing with a mechanical system here in which the gears of money supply, pricing of risk, and so on are mechanistically processed as if by "invisible hands;" on the contrary, the hands are quite visible, and the feedback between the political and the financial is self-reinforcing. Which is a fancy way of saying that the Financial Power Elites (corporatocracy, Plutocracy, rentier-financial Elites, etc.) will look out for their best interests. As Harun I. recently pointed out in our ongoing discussion of Power Elites and systemic risk, the hyper-wealthy are no different than the middle class or indeed any other class in this regard: we're all looking out for our best interests. The difference is the Financial Power Elites are partnered with (or own) the political class of politicos and high-caste apparatchiks which are tasked with keeping the machinery of governance running smoothly to the benefit of the status quo. Here is the key point I wish to emphasize: we will not "get" inflation or deflation by chance or mechanistic functions, but by a series of policy choices which will be made to benefit the Financial Power Elites and their functionaries in the Central State. Demographics and the intrinsic limits of exponentially rising debt and consumption dictate that the status quo will implode at some point in the near future. Historical cycles suggest the point of implosion will occur around 2021-2022, but nothing is written in stone. Indeed, were the status quo to transform into a financial and resource-consumption model that was truly sustainable, then the implosion could be avoided altogether. But the concentrations of wealth and political power are so profound that such a transformation seems unlikely, unless the Power Elites concluded such a radical transformation was in their best interests. So rather than look at inflation-deflation as mechanical models, I ask: which one would benefit those with the wealth and power? If we answer that, then we can predict which will occur, regardless of what various models predict. I would like to point out that defining deflation and inflation can end up being somewhat like defining love; the words are inadequate to the task of parsing out the various permutations. Thus I prefer the more discrete term purchasing power which doesn't demand a mechanism for price discovery. It simply asks if your currency (or gold, quatloos, etc.--whatever "money" you are measuring) can buy more or less of items such as oil, grain, coffee, sugar, rental housing, consumer luxuries, and so on. This distinction helps us avoid various rabbit holes associated with "inflation." According to conventional thinking, inflation is a monetary phenomenon, that is, "too much money chasing too few goods." But this is easily confused with currency depreciation, which also causes prices to rise in the sense that our money buys less oil, etc. than it did in the past. This is not the same as the inflation caused by an economy being flooded with cash. We also have to make some distinctions between asset inflation and standard-issue inflation, in which prices and wages may enter a wage-price spiral. Assets can rise in price and purchasing power even as the "real economy" stagnates. Lastly, there are our old free-market friends, supply and demand. If oil is suddenly in short supply due to war or other severe disruption, then the rise in price is not a result of an increase in money supply (inflation) or currency devaluation; the fact remains that it takes more currency buy a gallon of petrol than it did before the supply disruption, even if there is no inflation and the currency has remained stable against other currencies and gold. All this is to say that trying to parse out the meanings of these "hot button" words and all the dynamics can end up being more distracting and confusing than enlightening. On to what we know. 1. We know that wealth is highly concentrated in the U.S., and becoming more concentrated with the passage of time. 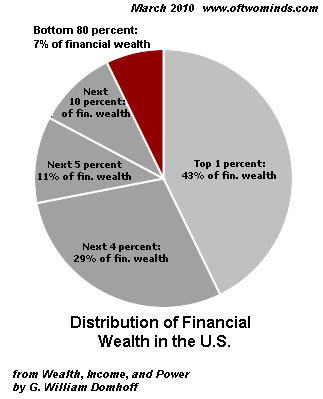 I often publish this chart to demonstrate how the majority of Americans have few if any financial assets. Source: Wealth, Income, and Power. The top-earning 20 percent of Americans — those making more than $100,000 each year — received 49.4 percent of all income generated in the U.S., compared with the 3.4 percent earned by those below the poverty line. U.S. median household income fell 3 percent in 2009 to $50,221, the second straight annual drop, the Census Bureau said. Income inequality has grown massively since 2000. According to Harvard Magazine, 66% of 2001-2007's income growth went to the top 1% of Americans, while the other 99% of the population got a measly 6% increase. 2. The nation's economy is heavily dependent on two revenue/consumption streams: the top slice of households and the Federal Government, which is borrowing roughly 12% of GDP (borrowing $1.6 trillion, GDP of about $14 trillion) annually to prop up the economy. But the Top 5 percent in income earners — those households earning $210,000 or more — account for about one-third of consumer outlays, including spending on goods and services, interest payments on consumer debt and cash gifts, according to an analysis of Federal Reserve data by Moody’s Analytics. Obstacle to Deficit Cutting: A Nation on Entitlements: 44% of all households receive a check or cash-equivalent from the Federal government, while 45% pay no Federal income tax. Note the reliance on Central State borrowing and spending to keep household income from cratering. 3. The top slice of households pays the vast majority of the taxes, but the top 1%'s share of national income has risen faster than their tax burdens. According to the Congressional Budget Office (CBO), the top 20% paid 86.3% of all Federal income taxes. There were 51,487,282 housing units with a mortgage and 23,875,803 Housing units without a mortgage as of 2008. As of the end of 2009, total equity in household real estate was a paltry $6.24 trillion of which about $5.25 trillion was held in free-and-clear homes (32% of all household real estate, i.e. 32% of $16.5 trillion). Their 7% share of the nation's financial wealth? That is 7% of $45 trillion, or $3 trillion, including all stocks, bonds and securities in IRAs, 401K retirement funds, savings and other accounts. You can confirm the numbers yourself by examining the Fed Flow of Funds. 5. The world is awash with credit/debt. Total US credit outstanding rose from 221 percent of GDP in 2000 to 291 percent in 2008, reaching $42 trillion. Eurozone indebtedness rose higher, to 304 percent of GDP by the end of 2008, while UK borrowing climbed even higher, to 320 percent. 6. Though the Federal Reserve can create trillions of dollars in new credit, and lower interest rates to near-zero, it cannot control where that credit flows. As others have documented, most of the liquidity created by the Fed has not flowed into the real economy; it has flowed into the banks to bolster their reserves or into speculative chasing of yields in risk-assets. 7. The flood of global quantitative easing/liquidity/credit has flowed into risk-assets as zero-interest rate policies (ZIRP) have created a mad rush for yield. Rather than create new borrowing and spending in the real economy, as the Fed claims was the intention of its policies, the trillions of dollars, euros, yuan, etc. have flowed into emerging markets (many of which are up fantastic percentages in the past few years), commodities, corporate debt (which as surged to $7 trillion in the U.S.), Chinese real estate and developed-nation's equity markets. This has created global bubbles in a variety of asset classes. From 1973 to 1985, the financial sector never earned more than 16 percent of domestic corporate profits. In 1986, that figure reached 19 percent. In the 1990s, it oscillated between 21 percent and 30 percent, higher than it had ever been in the postwar period. This decade, it reached 41 percent. Pay rose just as dramatically. From 1948 to 1982, average compensation in the financial sector ranged between 99 percent and 108 percent of the average for all domestic private industries. From 1983, it shot upward, reaching 181 percent in 2007. In the last 40 years, financial profits went from just under 20 percent of corporate profits to around 40 percent before the financial crisis. Financial company stocks became 22 percent of the Standard & Poor’s financial index by 2006, up from 13 percent in 1999. The shadow banking system grew from a mere $500 billion in 1970 to $30 trillion by September 2008. 9. You cannot control everything in global markets. The reason for this is that other nations trade with the U.S. and they are pursuing their own best interests. Also, there are still relatively open markets for currencies and commodities on a global scale, and these cannot be set by political fiat, though the machinery of the Fed and Treasury aims to manipulate or direct these markets to meet the goals of those setting the agendas for the Fed and Treasury. As I believe John Hussman pointed out, in an unfettered market then countries with high needs for capital and/or domestic inflation would pay substantially higher interest rates than other economies. But with quantitative easing and ZIRP the Central States' policy of choice, then bond yields and prices are locked down and unable to respond in a market fashion (that is, discovering and pricing risk and return). That leaves all the adjusting to the foreign exchange markets. China's peg to the dollar, for example, is one attempt to control everything: the currency's value, China's bond yields and its domestic money supply. But the net result is that "hot money" has flooded into China's real estate market, crating a monumental bubble. So you can't control everything, even if you are a Central State with authoritarian controls over Central Banking and currency pegs. So where does all this leave us? With this question: if you owned 93% of the net worth in the U.S., what would benefit you most? Let's ask two other questions: who benefits from inflation and who benefits from deflation (increasing purchasing power as borrowing and economic activity decline). Those with massive debts benefit from inflation as they can pay down their debt with "cheaper" money. This is the reason many people give for why the Federal government loves inflation and why the Fed is striving to create it: so the Central State can pay the interest on its fast-rising debt without crimping future spending. The trick here is that wages and revenues have to rise in tandem with costs. If wages/income/tax revenues stagnate as prices rise (purchasing power declines) then everyone's net income left to service debt falls. As noted above, median household incomes are declining. Conversely, those with fixed incomes benefit from deflation. If everything you need gets cheaper with time, then your cash is earning a nice yield even if its nominal yield is zero. 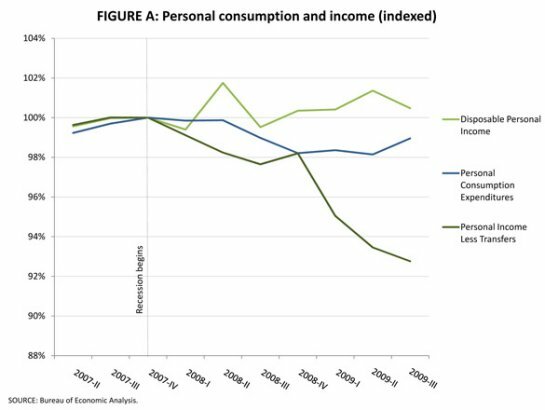 The problem is incomes (and tax revenues) also tend to decline in deflation, so debts become ever more burdensome. This is the reason usually given for why the status quo fears and loathes deflation. But remember: every debt is someone else's asset. If I owe you $300,000 for a mortgage at 5%, and next year inflation enables me to pay you off with one month's salary, then your asset has lost most of its purchasing power. My debt is gone and you have seen your assets wiped out. My conclusion: the idea that those owning most of the financial and property assets would welcome inflation makes little sense. If inflation eats away the value of debt, it also eats away the value of debt-based assets (i.e. the mortgage I owe you). For the same reason, I can't see the value of a depreciating U.S. dollar to those who own 93% of all financial assets. Sure, these Elites have overseas assets, gold, etc., but a substantial percentage of their wealth is still in dollar assets. For them to allow or welcome the destruction of the dollar--that makes no sense. On the contrary, their purchasing power rises along with the dollar. The Financial Power Elites have good reason to prefer higher interest rates and low or no inflation, as I described in The Con of the Decade (July 8, 2010). The ideal scenario for the Financial Power Elites which own the debt is modest deflation, as that increases the purchasing power of their income stream. The ideal setup is a nation/world of debt-serfs who are still able to service their debts and pay their taxes. 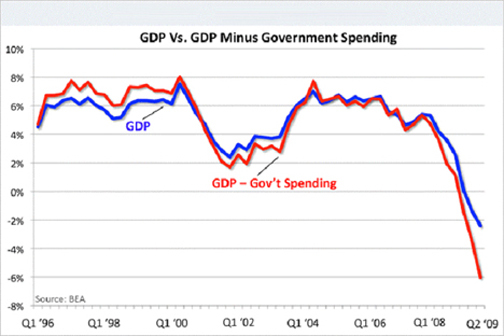 The only real danger is if debt service and taxes become too burdensome and they revolt. So the Financial Power Elites do have to care about the top 20% below them, as these tax mules pay most of the Central State's taxes. That's important because the Power Elites will likely end up owning high-yield long-term Treasury bonds. They also have to care a bit (but not too much) about the bottom 60% who own no assets to speak of, as this class could create political turmoil were they to recognize the hopelessness of their serfdom. So the Power Elites will support bread-and-circuses: cheap entitlement programs like food stamps, and abundant entertainment (cable TV and Internet). This combination has a long history of success in placating and distracting the masses. Out-of-control costly programs like Medicare will be pared back. They are only valuable as ways of diverting the national income into cartels owned by the Power Elites. To the degree they threaten to disrupt the overall financial status quo, they will be pared down via reduction of benefits. If commodity prices get too outrageous, then the Power Elites will support Central State rationing and other programs which ensure the bottom 60% will have few reasons to rebel and plentiful reasons to silently, passively comply. All the above leads me to this Grand Strategy for the Financial Power Elites. Most of us have a difficult time putting ourselves in the shoes of those tasked with maintaining the private purchasing power of $500 million, or $5 billion, and the inability to think on this scale leads to obsessive focus on financial minutae. 1. I would slowly liquidate my common-stock equity and long-bond positions, and maintain my precious-metals positions (preferably ownership of the mines than the bullion) and my preferred stock in global corporations. This would create a mad dash for dollars and other cash to pay down debt taken on in the "easy money"/ZIRP era (i.e. 2008-2010), and lead to wholesale dumping of all assets which still have value. The higher the value (i.e. gold) the quicker they will be unloaded for cash: for instance, oil and energy-based equities. 3. I would sit on my hoard of cash while the selling created a positive feedback loop and prices plummeted in a downward panic spiral. 4. As net worth vanished in the tens of trillions of dollars/yen/yuan/euros, interest rates would rise dramatically as those desperate for funds compete for dwindling free cash. Revenues of oil exporters and other exporters crash, drying up a once-reliable source of cash. 5. When premium real estate properties and equities are selling for 10%-20% of their pre-crash valuations, I will begin buying. I won't buy long-term bonds until the yields skyrocket; then I will jump in with all four feet. 6. As the long-term shortage of commodities eventually re-asserts itself, then I (and my other Financial Power Elites cohort) will own most of what the world needs to function, including the Central State tax revenues which will increasingly be directed to making interest payments. 7. I will be a strong supporter of food stamps and other low-cost rebellion-reduction programs, and "soft" and "hard" power to enforce my ownership of assets which I purchased. 8. As interest rates rise, the U.S. dollar will strengthen, further increasing my purchasing power. 9. I will oppose inflationary policies as needless reductions in my purchasing power. I don't owe debt, I own debt as an asset. Bottom line: expect a crash in commodity prices and other asset bubbles, a much stronger dollar and rapidly rising interest rates. I am playing it as it lays, and this is precisely what I expect to unfold between 2010 and 2014. Special podcast: Steve over at Two Beers with Steve was generous enough to invite me back to discuss topics of great importance to both of us and to you: health, diet, fitness and taking charge of our own lives. Please give it a listen: Two Beers with Steve podcast. 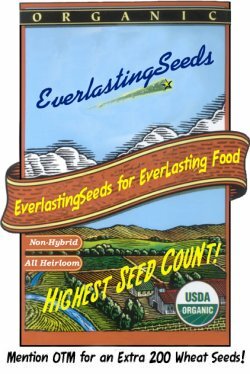 SPECIAL SEED OFFER, ONE WEEK ONLY: Our site sponsor, Everlasting Seeds, has graciously arranged a special 15% discount off all seeds for oftwominds.com readers. Please go to this link to get the discount on all Everlasting Seeds offerings: 15% off, one week only--ends Tuesday! ANNOUNCEMENT for UK READERS: I've launched a recycling service section in the right sidebar, and the first service is Recycle Your Mobile Phone-UK which offers free comparisons on recycling options. If you would like to post a comment where others can read it, please go to DailyJava.net, (registering only takes a moment), select Of Two Minds-Charles Smith, and then go to The daily topic. To see other readers recent comments, go to New Posts. Order Survival+: Structuring Prosperity for Yourself and the Nation and/or Survival+ The Primer from your local bookseller or from amazon.com or in ebook and Kindle formats. 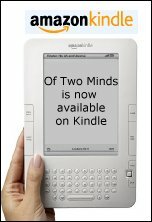 A 20% discount is available from the publisher. Thank you, Gary K. ($10), for your second most generous contribution to this site-- I am honored by your ongoing support and readership. Thank you, Vincent W. ($20), for your extremely generous donation to this site-- I am honored by your support and readership. 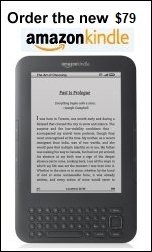 All content, HTML coding, format design, design elements and images copyright © 2010 Charles Hugh Smith, All rights reserved in all media, unless otherwise credited or noted.